Man Nguyen VN Co., LTD is a modernized private enterprise focusing on development and production of DK77 Series WEDM and accessories. The products integrate design and manufacture which has won numbers of scientific and technological progress awards and possessed the core intellectual property as well. 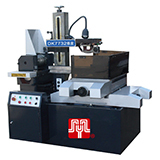 In recent year, the company has developed the multiple-cutting intelligent mid-speed wire-feeding cutting machine by introducing the internationally-advanced concepts for precision mold processing and slow wire-feeding multiple-cutting technology. 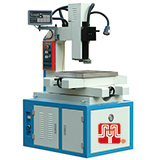 This machine features multiple cutting, hight efficiency, hight-precision, hight fineness and hight stability. 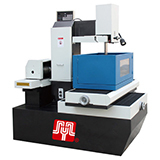 The fineness of the cutting workpiece can be optimally up to 0.8µm, close to the level of slow wire waking, with a leading level in quality among the industry. Being widely applited in the field of national defense military projects, precision-molding processing, research institutes and universitie, teaching and training, etc., the products are exported to many countries and areas such as Taiwan, Korea, India, Malaysia, Russia, etc..
With is excellent technical and managerial personnel, the company has passed the ISO9001 quality system certification and export certification and has won the trust of its clients by perfect after-sales services. By upholding its enterprise culture and relying on hight-quality services, the company will become more efficient in the future and will endeavor to boost the development of customer services!